In a region rife with lopsided one-party democracies dominated by independence-era freedom movements (South Africa, Mozambique, and Namibia) and clear autocracies (Angola, Democratic Republic of the Congo and Zimbabwe), one country stands out for free and fair elections that aren’t also forgone conclusions. It’s Zambia, a country of 16.2 million people, which will hold its fifth presidential election in ten years on August 11, a rematch of last year’s election that takes place as the Zambian economy, the continent’s second-largest producer of copper, enters a troubled period as global commodity prices remain depressed. That’s meant fewer revenues for the Zambian government over the last two years, a wide increase in public debt and a gaping hole that’s led to power outages, deep rises in the price of food and other economic difficulties. 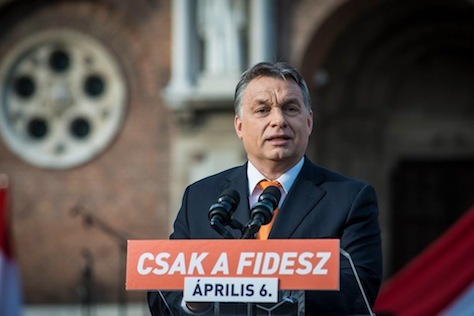 The winner of the Thursday election will almost certainly be forced to seek a bailout package from the International Monetary Fund this autumn, along with the kinds of conditional austerity that will cause real economic pain in the years ahead. The 2016 election amounts to a rematch from the January 2015 by-election to replace the late Michael Sata, who died unexpectedly in October 2014. Sata’s governing party, the Patriotic Front (PF), ultimately chose Edgar Lungu (who is now just 59 years old), who had previously served as Sata’s justice minister and defence minister. Briefly, Sata’s vice president, Guy Scott, a white Zambian, held the title of acting president and, for a short time, considered running against Lungu for the presidency. Instead, Lungu’s chief competitor became four-time presidential contender Hakainde Hichilema, a businessman and the candidate of the opposition United Party for National Development (UPND). Lungu narrowly won — by a margin of less than 28,000 votes, on a populist campaign that rested largely on the record that Sata accumulated before he died. Hichilema campaign largely on a campaign that promised greater fiscal and technocratic competence in a period when copper prices were already falling. They are, to a large degree, running on the same rationales in 2016. Lungu and the PF dominated in the north, center and east of the country, including the densely populated urban areas in the capital city of Lusaka and, to a lesser degree, Copperbelt province. 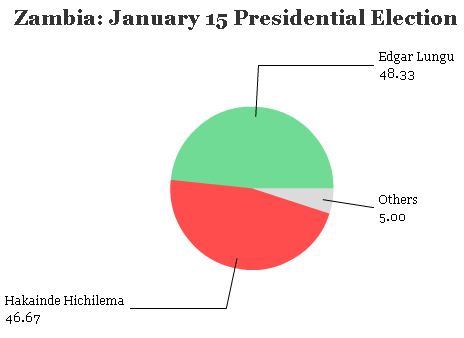 Hichilema easily won the south, the west and the northwest. This time around, the two candidates are locked into a rematch, but with much larger stakes — the 2016 winner will govern Zambia for five years, not just 18 months. That, perhaps, explains why the campaign has veered into a troubling amount of political violence this summer. 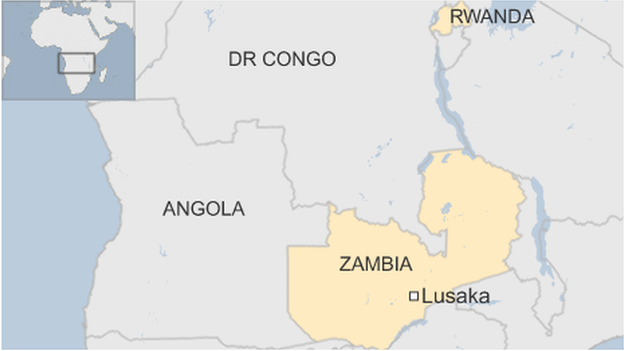 The violence, which forced Zambia’s electoral commission to ban campaigning in Lusaka for 10 days in mid-July, has caused some hand-wringing among both local and foreign observers, who worry that the violence is a sign that the campaign could erode democracy in Zambia. It’s true that the Lungu government shut down the country’s largest independent media organization, the Post, earlier in the spring, eroding the concept of press freedom across the country. 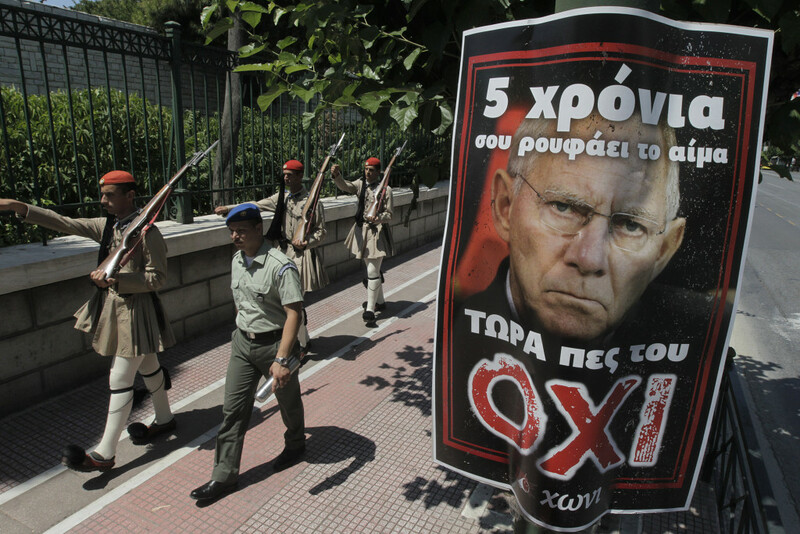 It’s not just European voters who are tired of austerity. In Jamaica, after years of a budget-cutting IMF bailout program, the famously polarized electorate narrowly ousted the country’s first female prime minister, Portia Simpson-Miller, in office since early 2012, and her nominally center-left People’s National Party. 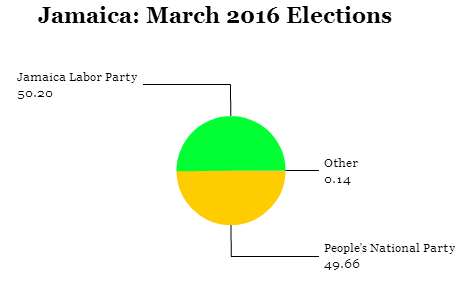 Instead, on February 26, voters chose the nominally center-right Jamaica Labour Party, bringing Andrew Holness, who briefly served as prime minister from November 2011 to January 2012, back to power. Holness was sworn in as prime minister last Thursday. The JLP won just 50.13% of the vote to the PNP’s 49.66%, and they hold only a narrow lead in the Jamaican House of Representatives, winning just 32 seats to the PNP’s 31 seats — a narrow result even by the standards of the razor-thin divide of Jamaican politics. 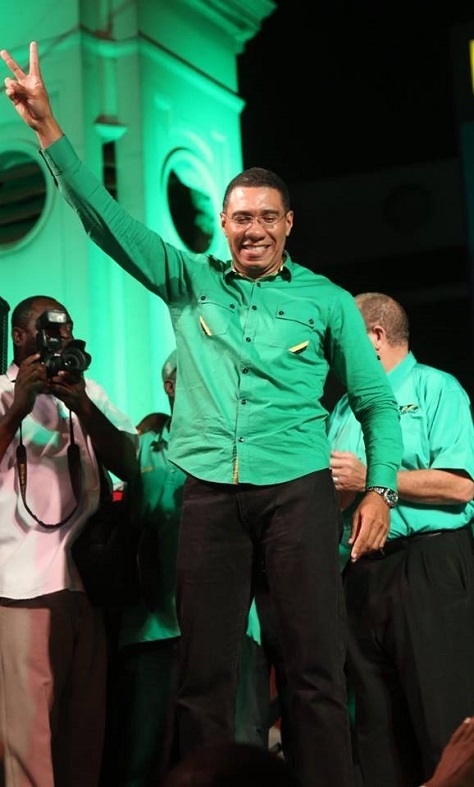 Holness pledged on the campaign trail to devote more resources to boost jobs and health care, though it wasn’t incredibly clear how that would necessarily work in light of ongoing obligations to rein in government spending. 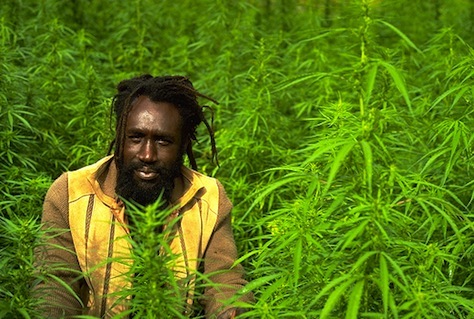 Jamaica is one of many Caribbean countries facing a difficult debt burden, despite the fact that economic growth has slowed throughout this decade as recession-weary Americans and Europeans shunned the opportunity for tourism. 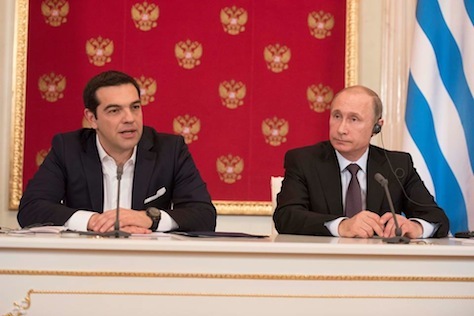 Did the International Monetary Fund’s latest proposal just basically admit Greek prime minister Alexis Tsipras is right? 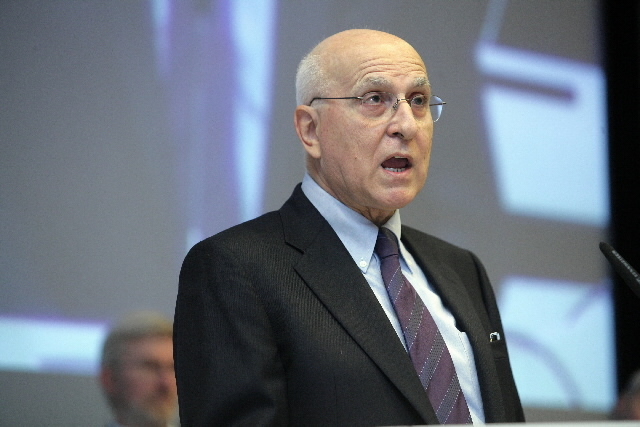 Greece needs, under still-optimistic growth projections, at least € 50 billion through 2018 and debt restructuring. If Berlin admitted this even a week ago, we’d have avoided a lot of trauma. 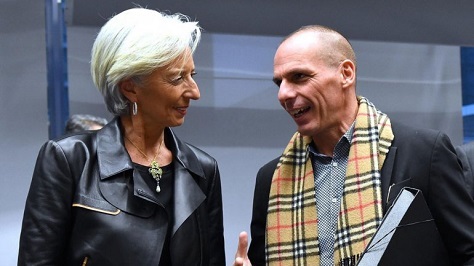 So while the Greek government is still amateur-hour, Tsipras, finance minister Yanis Varoufakis (picutred above with IMF managing director Christine Lagarde) and the rest are fundamentally correct — Greece can’t meet its debt burden. All of this should have been easily foreseeable five years ago. The answer is that this deal, like the eurozone’s creation in the 1990s, was more about politics than economics. I don’t know if that means ‘nai’ or ‘oxi’ or what ‘nai’ or ‘oxi’ generally even mean anymore. What’s most unusual about today’s inauguration of Juan Orlando Hernández as the next president of Honduras is that so much of his agenda is already in place. 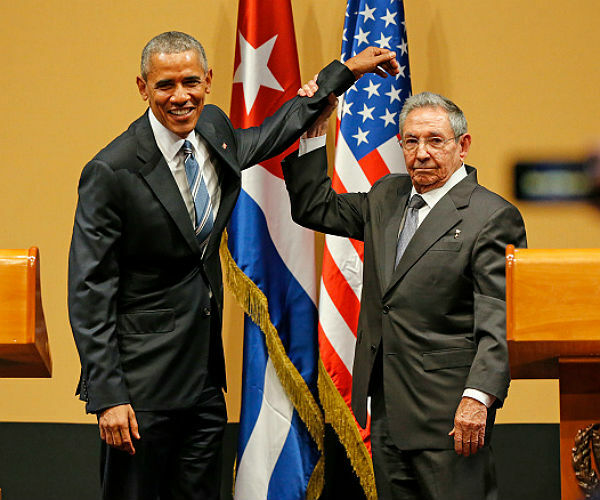 Upon taking office today, Hernández (pictured above) will face daunting security, economic and political challenges. 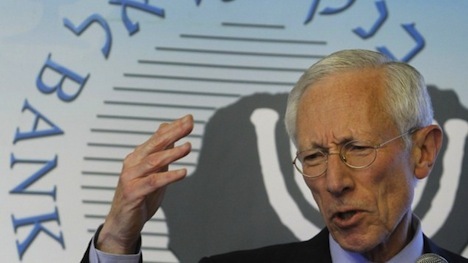 But on at least a few matters, he’ll take office with key elements of his agenda already in place, thanks to the efforts of the outgoing administration of Porfirio Lobo Sosa and the wide majority of the Partido Nacional (PN, National Party) in the outgoing Congreso Nacional (National Congress). Hernández served as president of the National Congress from 2010 to 2014. The transition from Lobo Sosa to Hernández marks the first time since the return of democracy to Honduras in 1981 that the conservative National Party will hold two consecutive presidential terms (Honduran presidents are constitutionally ineligible to run for reelection). Hernández takes office today, but he does so after enacting several key security and fiscal policies in the final months and weeks of the Lobo Sosa administration, including a new, less controversial national police chief, a new military police force, landmark fiscal reforms (including a wide tax increase) and a plan to privatize Honduras’s public electricity company. 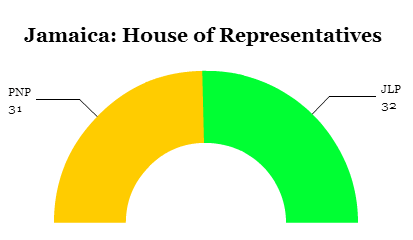 Last weekend, the new National Congress was sworn in, which means that the National Party will control just 48 seats in the 128-member unicameral parliament, a sharp reduction from the 75-seat bloc that Hernández commanded during the Lobo Sosa era. Even before the election campaign reached full swing, Hernández last September pushed through legislation authorizing the creation of a new policia militar (‘military police’) that will deploy in full force early this year, and he campaigned on a slogan to do ‘whatever it takes’ (¡voy hacer lo que tenga que hacer!) to make Honduras safe. The controversial legislation creates an elite militarized unit loyal to Hernández that (hopefully) won’t be corrupted by organized crime and drug traffickers, which have already infiltrated much of the Honduran police and military. Critics worry that the new military police could trample human rights in a country barely three decades removed from death squads. Many Hondurans fear the police more than drug traffickers and criminal gangs. Late in December 2013, Lobo Sosa fired the head of Honduras’s national police, Juan Carlos Bonilla, known as ‘El Tigre.’ Bonilla had become a controversial figure, given alleged ties to the death squads of the 1980s. Since becoming the head of Honduras’s national police force in August 2012, Bonilla became linked to a trend of humanitarian violations at the hands of the national police, including beatings, illegal detentions and other harassment of gay and lesbian Hondurans, journalists and leftists in political opposition to the current administration. Bonilla also seemed either unwilling or unable to crack down on rampant corruption within his ranks. Given that police salaries are a pittance, however, reforming the national police force could prove just as difficult in the Hernández era as well. Bonilla’s removal represents one less headache for Hernández, who would have continued to face ongoing skepticism from both within and outside Honduras over Bonilla’s leadership. But there’s no sign that the future will be any less corrupt or any more respectful of human rights — and no clear sign that Bonilla’s successor, Ramón Sabillón, previously the commander of the national police’s special investigations division, will do any better. Stabilizing Honduras will be Hernández’s top challenge in the next four years, and he’s staked his presidency on doubling down with a military solution rather than a strategy of community-based policing. Though the United Nations The United Nations Office on Drugs and Crime recorded a rate of 91.6 per 100,000 in 2011, but the Violence Observatory at the National Autonomous University of Honduras estimated a rate of 85.5 in 2012 and just 80 per 100,000 in 2013. While that’s a significant drop, it still means that Honduras has the world’s highest homicide rate. In his inaugural address today, Hernández declared that for criminals, se le terminó la fiesta (‘the party is over), and he wasted no time in announcing a massive military operation, Operácion Morazán, named after Honduras’s founding father. 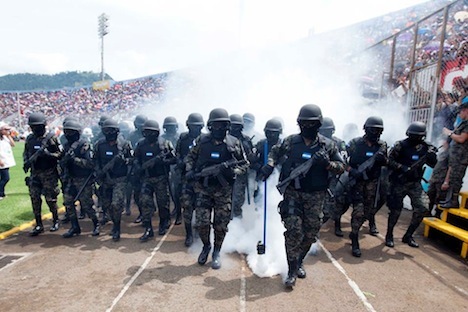 To that end, Hernández indulged a demonstration at his inauguration earlier today of Los Tigres, one unit of Honduras’s increasingly militarized network of squads and paramilitary police forces (pictured above). 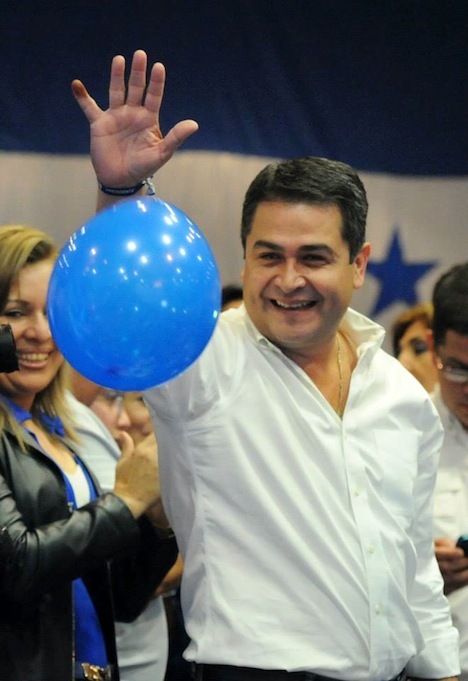 Rigoberto Chang Castillo, a top Hernández ally, has become Honduras’s new interior and population minister, and rising National Party star Reinaldo Sánchez will become the minister of the presidency. In light of Honduras’s single-round, first-past-the-post electoral system, [leftist party] LIBRE’s advent made it a near-certainty that the next president would win with less than an absolute majority. If Hernández wins with just 34 percent of the vote, it will mean that nearly two-thirds of Honduran voters rejected his approach. 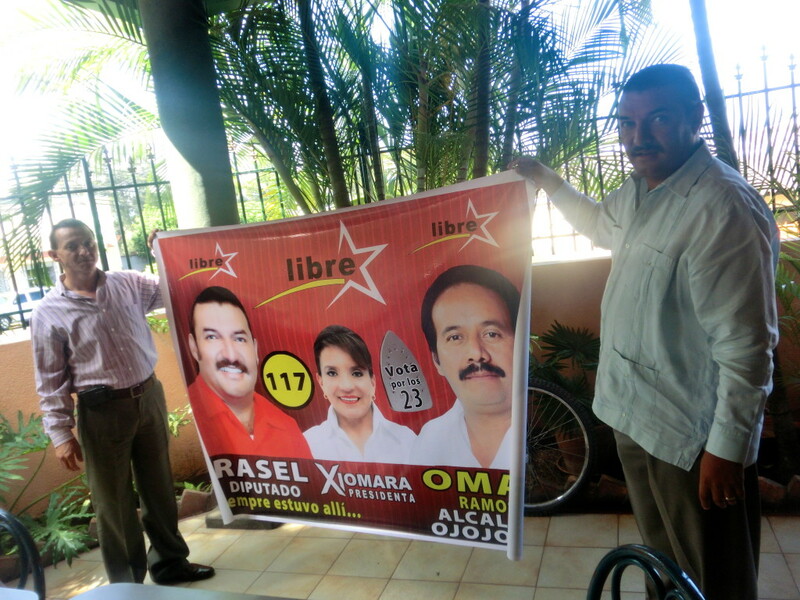 Both [opponent Xiomara] Castro de Zelaya and fourth-place candidate Salvador Nasralla (who’s polling a higher-than-expected 15.64 percent)—a populist sports broadcaster who started a rival right-wing “Anti-Corruption Party”—have already alleged fraud. It’s too soon to know if those accusations have any substance, but there’s certainly enough doubt—not least of all due to the National Party’s disputed 2012 primary elections—to take them seriously. But even if it turns out that Honduras’s election was “free” in a technical sense, there’s wider doubt that it was a truly fair election. LIBRE candidates, along with journalists and various other activists, have been killed, attacked and harassed with alarming frequency since the 2009 coup. 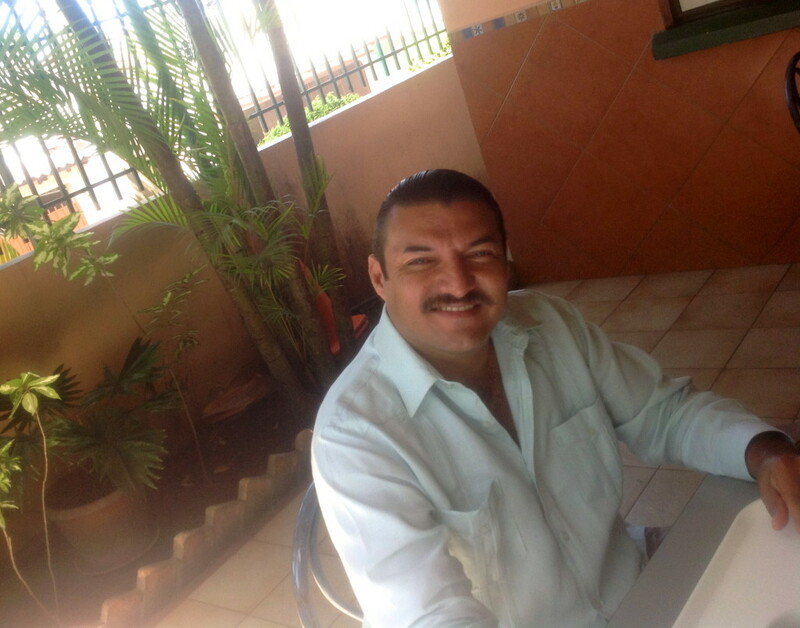 On Saturday night, two LIBRE leaders were assassinated near Tegucigalpa, Honduras’ capital. They weren’t the first LIBRE activists to be killed in Honduras and they won’t be the last—with little apparent ability to combat the world’s highest homicide rate, the Honduran state is unable to investigate murderers who can kill with impunity. LIBRE is certain to oppose Hernández at every step, especially if Castro de Zelaya digs in with her refusal to concede the election and especially if she has good reason for protest. Even without Castro de Zelaya, the new party seems to have sparked a genuine political realignment that isn’t likely to disappear with one election or the political stardom of the Zelayas. With a disappointing third-place finish, the Partido Liberal (PL, Liberal Party) is likely to want to win back many of the supporters that left it to support the Zelayas and LIBRE. 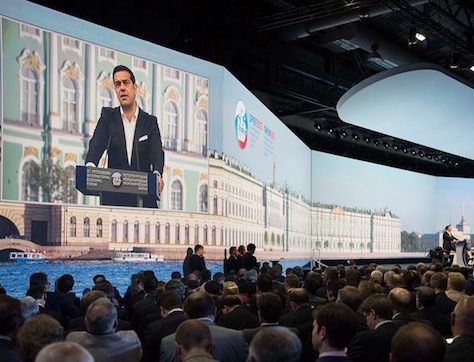 There’s a strong argument that the last thing that the Liberals will want to do is join forces with Hernández at a time when their party’s raison d’être is under siege — instead, the Liberals would be smart to draw contrasts with Hernández. 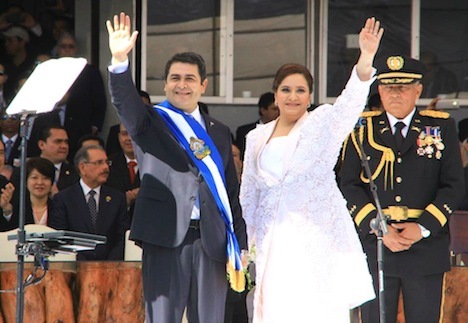 Honduras’ precarious finances will also clip Hernández’ wings. With a nearly 4 percent budget deficit in 2012 and a public debt of 35 percent of GDP, Honduras can barely pay its public employees. 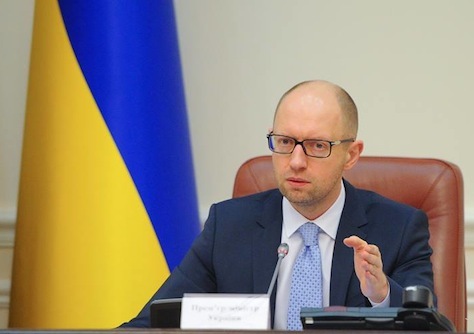 Financial strains have also limited the ability of both the national and municipal governments to pay police and military officials enough to discourage collusion with drug traffickers. Financing a new military police force, too, means less money for reducing poverty and unemployment, building roads and hospitals, and crafting economic policy to reduce income inequality in Honduras. TEGUCIGALPA — Rasel Tomé, a tall attorney with striking blue eyes, slick jet black hair and a mustache to match, and dressed in a pastel guayabera shirt, looks every part the leftist Latin American revolutionary that you might have thought belonged to a radical generation from half a century ago. Tomé, whose roots are in Olanchito on Honduras’s north coast and whose family worked in the ubiquitous banana companies that dominated the Honduran economy and captured its government for much of the early and mid-20th century, was a legal adviser to former president Manuel ‘Mel’ Zelaya, who was ousted by the military from the Honduran presidency in June 2009. Ostensibly due to his push to amend the Honduran constitution to allow for presidential reelection, Zelaya spent much of his presidency edging further to the left, away from the United States and toward Venezuela and its ‘Bolivarian’ socialist allies within Latin America. But Zelaya is back. His wife, Xiomara Castro de Zelaya, is one of two frontrunners in this weekend’s general election, and she represents one side of a choice so polarizing that both sides speak about the take-no-prisoners campaign as if it’s a civil war. 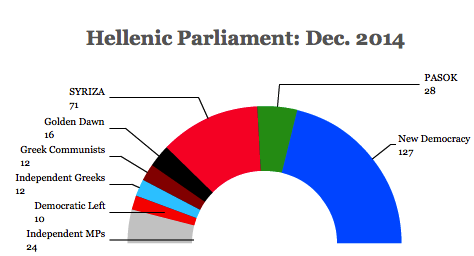 Even if it’s a cold civil war, there’s no doubt that the 2009 coup still dominates the political debate here. Tomé helped found the Movimeinto Resistencia Progresista (Progressive Resistance Movement) that opposed the 2009 coup, one of five popular movements that joined forces to form the Partido Libertad y Refundación (Party of Liberty and Refoundation) two years ago — popularly known as LIBRE, an acronym that plays on the Spanish word for ‘free.’ LIBRE, in many ways, is the first truly leftist party in Honduran political history with a chance of winning power in Honduras, and its candidate is Zelaya’s wife, Xiomara Castro de Zelaya. Throughout much of the 20th century, including after the return of regular elections in 1981, Honduran politics has been mostly a contest between two competing elites — those in the conservative Partido Nacional (National Party) and those in the more centrist Partido Liberal (Liberal Party). Manuel Zelaya, a wealthy rancher from eastern Honduras, was himself part of the Liberal Party elite when he was elected president in 2005. Though I met several LIBRE activists over the course of a week in Tegucigalpa, none were quite as compelling as Tomé — in a country where politics has often been a cynical game of spoils between competing sets of elites (including, by the way, the Zelayas, whose family members are rumored to have profited handsomely by Zelaya’s first term in office), many Hondurans see both the Zelayas and their chief opponent, Juan Orlando Hernández, the candidate of the governing Partido Nacional (PN, National Party) as two sides of the same ineffective coin — and they have little hope for the other main candidate in the race, Mauricio Villeda of the Partido Liberal (PL, Liberal Party). Tomé admitted as much. Tomé added, however, that the Zelayas have now put themselves in the service of the people as a vector for change. It was an impressively honest answer, but it also highlights the tension between the Zelayas and the activists who could power Xiomara into the Honduran presidency on Sunday. If she succeeds, she’ll have a dozen interest groups with high hopes of social and economic transformation, all of whom will want her to push for more change than any one president could possibly deliver at a time of joint security and economic crises — especially with the possibility that no party will win an absolute majority in the unicameral Congreso Nacional (National Congress). When I met Tomé two weeks ago, he showed up with another associate, and they unfurled their campaign banner. Tomé held forth for nearly an hour on over a dozen issues relating to the Honduran campaign — in contrast to the controlled and stilted interviews that LIBRE’s presidential candidate has given to the media (often alongside her husband, which has done nothing to dispel notions that her candidacy represents a second term for Mel Zelaya), Tomé has a compelling style that makes you wonder if he might not be LIBRE’s presidential candidate in four years’ time.